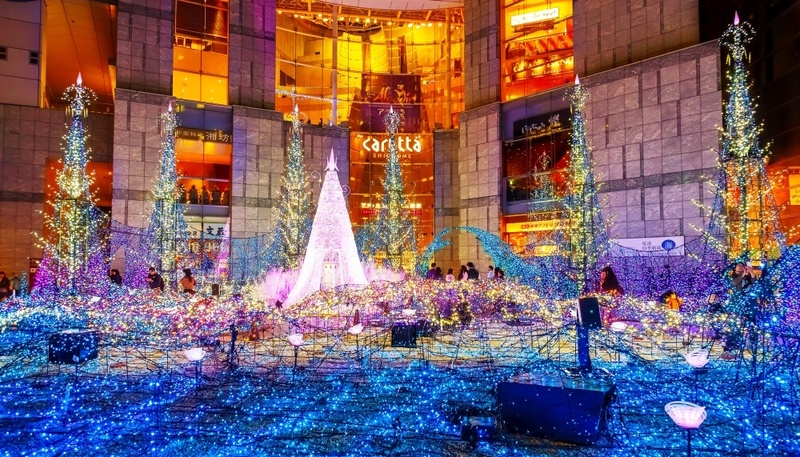 Ever wonder what it is like to celebrate Christmas in Japan? Japan shares some of the western traditions associated with Christmas but without the religious history. It is also not a national holiday, everyone still heads into work on Christmas morning. Still, in Japan you will see some of the most elaborate decked halls and delicately decorated sweets and cakes. How did this happen you ask? Well, after Japan opened its doors to the world during the Meiji Period, the westerners living in Japan would bring Christmas items from abroad. Then later after the World War II, the Christmas culture really took hold with the introduction of Santa, Christmas cake, and gift giving. Fast forward to a modern day Japan. Christmas has taken shape in a unique way and centers around both families and couples! Let’s take a look at a typical Christmas season in Japan. Christmas Eve is actually an evening for couples. It is very popular for couples to make reservations at nice restaurants, view the illuminations together, go ice-skating, visit German style Christmas markets, or even meet at love hotels. The gifts exchanged are mostly between couples. Although Santa also gives small gifts to children on Christmas or Christmas eve, the bigger holiday time for families in Japan is actually New Year. The shopping part of the season that we all love is alive and well. Department stores have been decorating and selling Christmas related items since after the war when Japan was actually the leading manufacturer of Christmas decorations in the 1920s-1970’s. One of the traditions that make the season brightest and most like home for me is the Illuminations that happen all over the country in most of the major cities in Japan. Main shopping areas, parks, and even the Rainbow Bridge do their best to portray the Christmas spirit in lights. 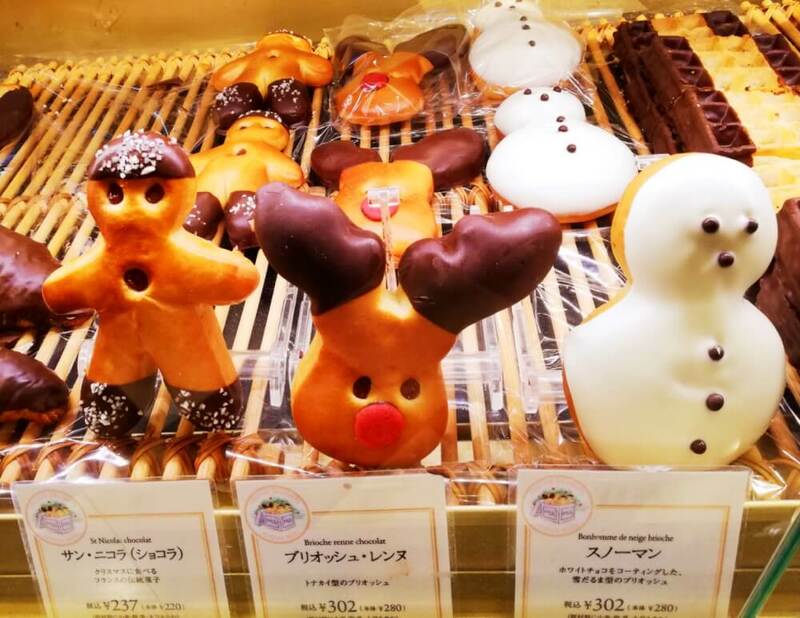 The most unique Christmas tradition that has developed in Japan through the years in my opinion is the Japanese take of Christmas dinner and treats. As the popularity of Christmas grew in Japan, the commercializing and marketing of goods kicked into high gear. In 1974, one particular company made history with its advertisement for Christmas dinner. Any guesses? The nations favorite family Christmas meal is … KFC! 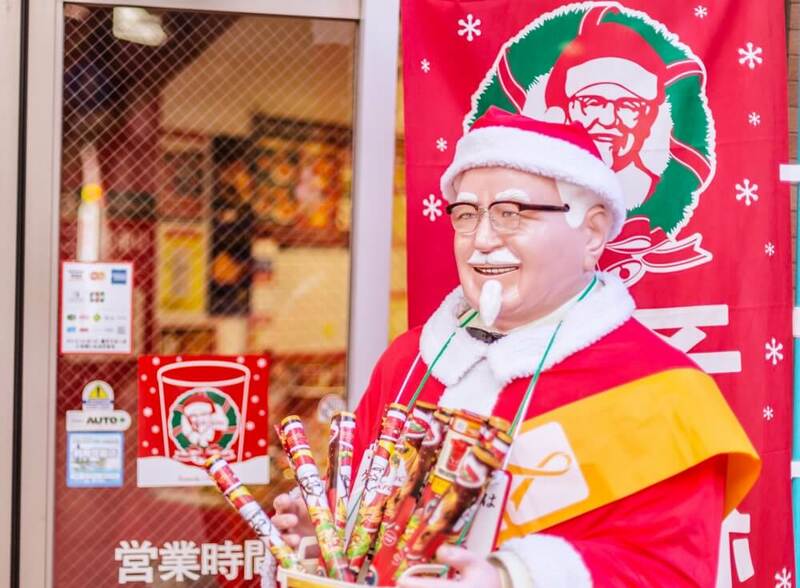 That’s right, Kentucky Fried Chicken’s marketing won the hearts of the Japanese with the slogan “ Kentucky for Christmas”! 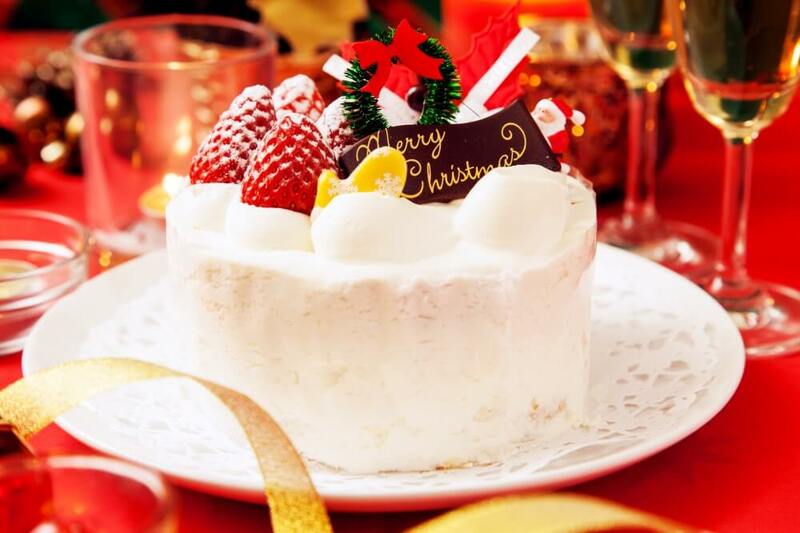 A typical Christmas dinner menu is fried or baked chicken, salad, and even a Christmas cake. These meals are the heart of the party and are often ordered months ahead of time. It isn’t Christmas anywhere without some kind of decadence. The Japanese choice for this is strawberry sponge cake with whip cream topping! The white and red color are symbolic. Red strawberries are for warding off evil spirits, and the white round cake represents prosperity. Originally the ingredients for the cake were rare, making it more expensive and therefore a very decadent holiday treat. The popularity of the cake is thanks to the famous, confectioner Fujiya and the technological advances in the 1950’s made it possible to grow strawberries year round and have the cake in the winter season. Although topped with decorative Santa’s, trains, and Christmas trees, the cake is more about the Japanese rise from the devastation of war. The cakes are so popular that they are sold everywhere from fancy bakeries and department stores to small shops and convenience stores! 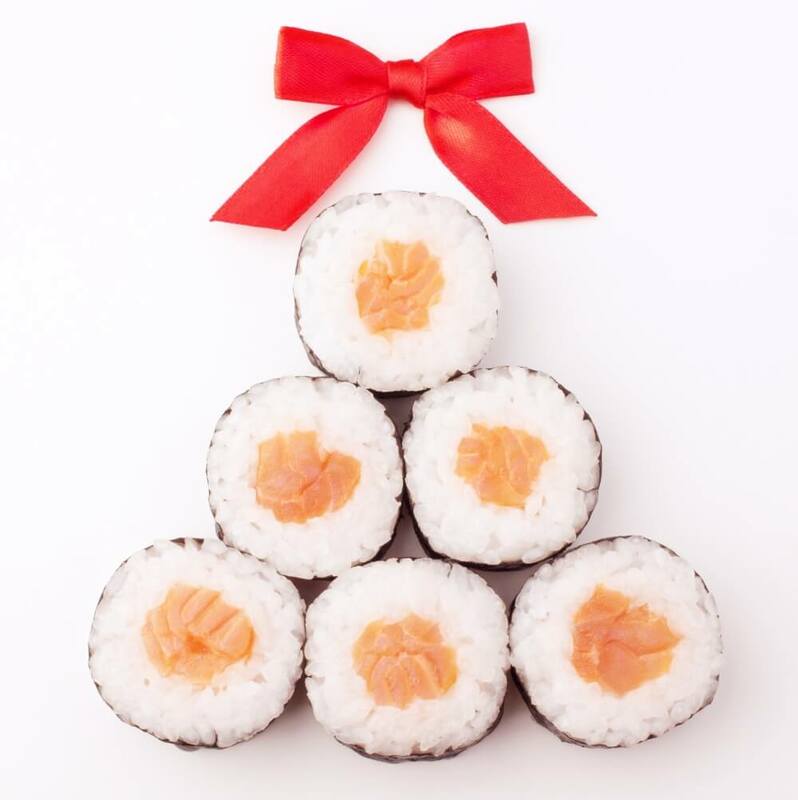 Christmas in Japan has taken from western traditions and adapted to Japanese needs and culture. 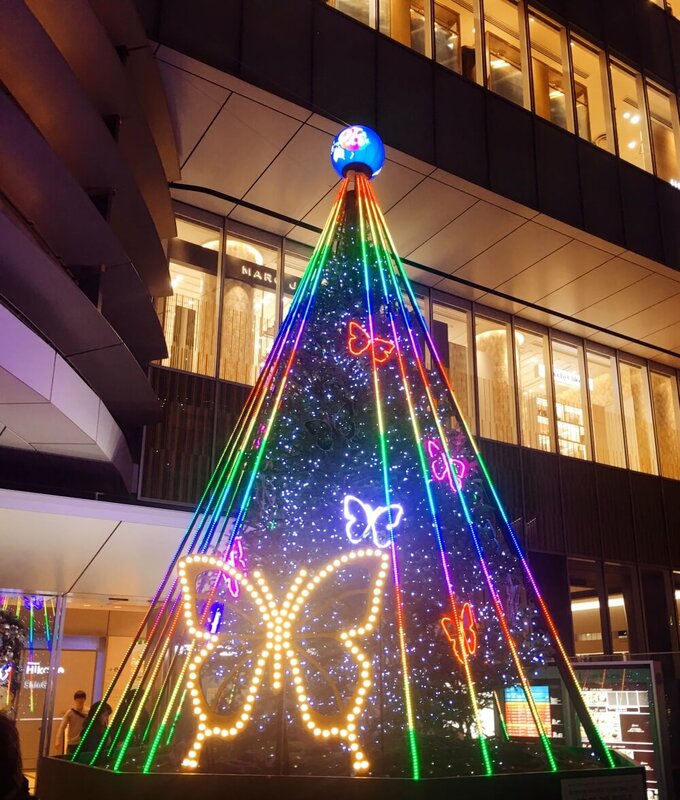 As with so much in Japan, the Christmas season is rich with meaningful traditions, and elaborate delicious foods, but it is also very high-tech, sparkly and fun! Another big winter holiday for Japanese people is the New Year’s Season, called Shogatsu. Join us on our limited edition New Year Food Tour in Shibuya to explore the traditions, food and symbols of this special time of year in Japan!